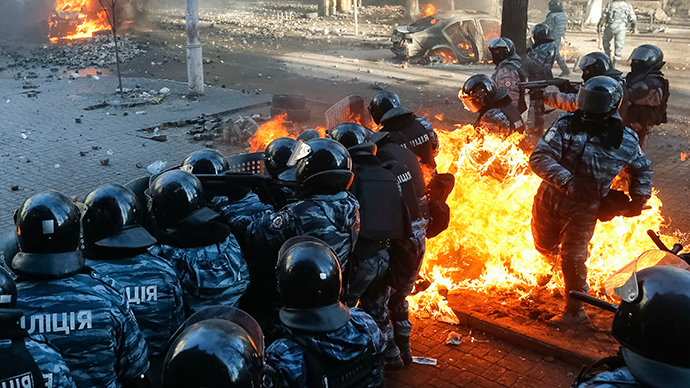 A senior Russian human rights official has called the updated research on human rights violations in Ukraine a forced measure, and an attempt to call for action from the international community to stop the violence. “This was a forced measure. This was not someone’s whim but a reaction to the current situation, and the situation in the South and South-East of Ukraine is extremely grave, disastrous,” the Foreign Ministry’s Plenipotentiary for Human Rights, Konstantin Dolgov, said in a televised interview. He dismissed allegations the report was propaganda. “There is some reaction to the White Book – some partners attempt to describe it as propaganda. But it consists of facts, and facts cannot be called propaganda,” he said. 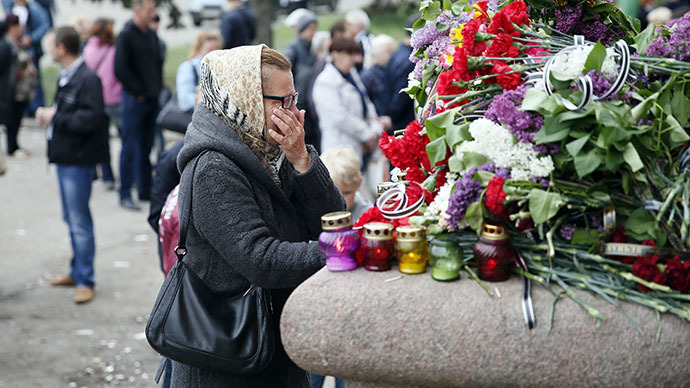 The updated report contains the descriptions of human rights violations, and abuses of the law that happened between April and July, including the death of Anatoly Klyan, the 68-year old cameraman from Russia’s Channel One television, the latest casualty among Russian journalists. The first version of the White Book covered the events from the end of November 2013 to the end of March 2014. 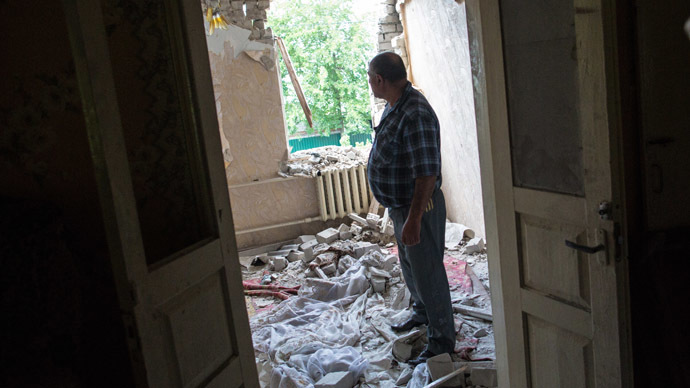 “The situation has been aggravated in all areas – the punitive operation continues, the military are indiscriminately shelling whole areas, there are air raids going on,” Dolgov noted. 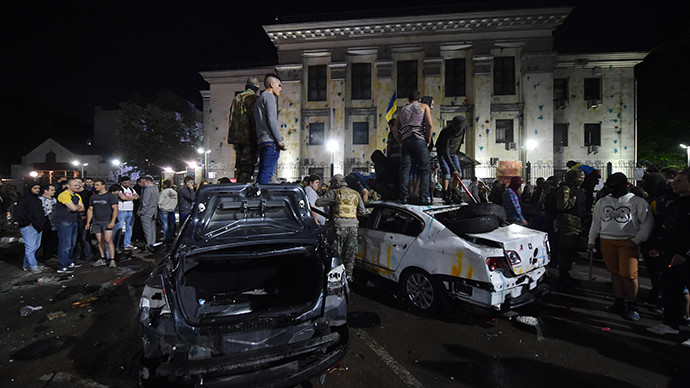 “We also recall the massacre in Odessa and the fact that these horrifying events are not investigated to this moment,” he added. Dolgov underlined that by publishing the White Book report the Foreign Ministry wanted to start an international probe into the violations. “Let us start an investigation with active participation of the international community – the UN, the OSCE, and the Council of Europe – so that all the culprits could be prosecuted,” the Russian diplomat said. He also added that experts continue to collect and analyze reports on Ukrainian abuse, and new updates would follow if the tragic necessity arises – like more rights violations and more casualties among the civilian population. “I would like to repeat – we would prefer that such White Books were never written. Let us all hope that this will be the last one and the situation will soon calm down and with the help of Russian diplomats and our partners we would stop the shooting and launch a full-fledged political dialogue,” Dolgov said. “The most important thing is to stop the violence and the punitive operation,” the Russian diplomat emphasized. 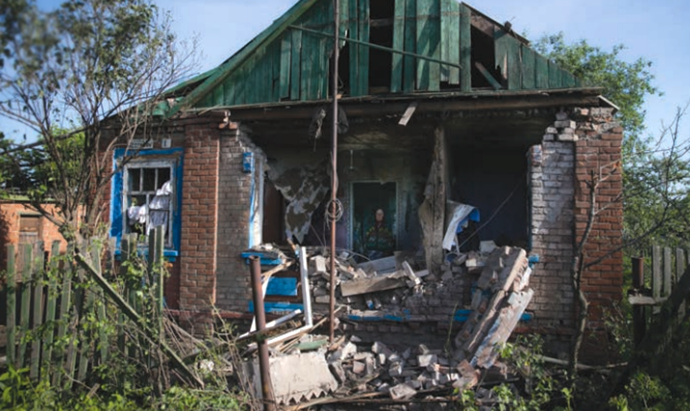 On June 3-4, 2014, using heavy artillery, the Ukrainian National Guard attacked Slavyansk and vicinity. 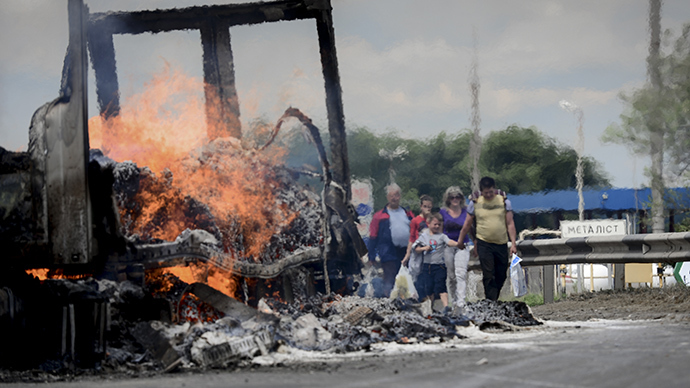 Eight air strikes hit the outskirts of Sloviansk. Therefore, the central water main was damaged, and the water supply to Slavyansk, Kramatorsk and the nearby villages stopped. There are victims among the civilian population. On June 30, 2014, In the Donetsk Region the pro-Kiev military killed a cameraman from Russia’s Channel One television, Anatoly Klyan.In the same area some people destroyed a car carrying reporters from Russia's Lifenews, the journalists escaped by luck. Earlier, reporters from the MIR-24 and REN-TV channels also reported shots fired at them. 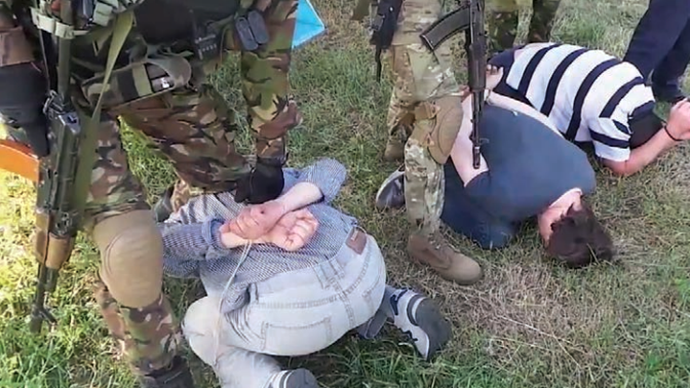 On May 31, 2014, the Prior of the St Nickolas Church in the town of Novoaidar said he was tortured by the Ukrainian military who arrested him over charges of attacking polling stations. The priest showed the marks on his hands and said the torturers stepped on the closed handcuffs to make them as tight as possible. 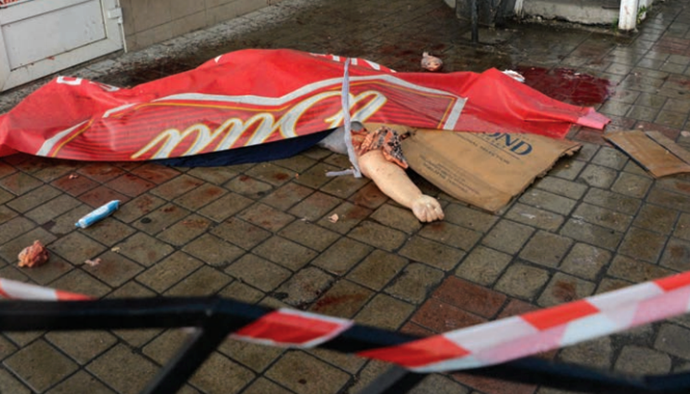 In the early hours of May 30, 2014, unidentified persons threw petrol bombs into the Kiev office of a Russian radio station, destroying it. The full updated White Book report is available on the Foreign Ministry’s website.